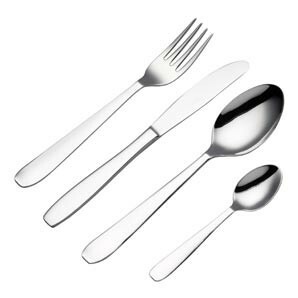 A low cost, value set of stainless steel dinner forks, ideal for use in canteens, restaurants, cafeterias and at home. Suitable for use in schools, restaurants, cafeterias, nursing/ residential homes and many more. Matching packs of knives, tea spoons and dessert spoons are also available from stock.